At Modev, we assume that most people are intelligent, well-intended, and respectful of others, and we’re inclined to give our community and attendees the benefit of the doubt that they act accordingly at our events or events we help promote. However, recent cases of bad or disrespectful behavior in and around technology events have led us to the conclusion that it’s sometimes necessary to spell out the behavior we support and don’t support at our events. Here’s the deal: we will do whatever we believe is necessary to ensure that a Modev community event, conference, or training is a safe and productive environment for everyone. We take issues of harassment and improper behavior very seriously, and we acknowledge that this is a long-standing issue in the technical community. It’s simple: we don’t condone harassment or offensive behavior, at our conferences or anywhere. It’s counter to our company values and our values as human beings. Modev expects the practice of appropriate behavior by all participants at technical events, including all our conferences, meetups, etc. It’s common sense and an issue for which we have a zero tolerance policy for those who choose to ignore or break basic rules of human decorum or decency. 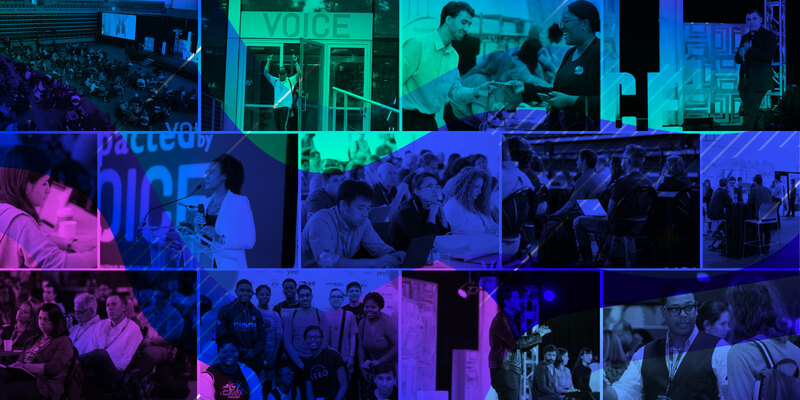 We invite you to help us make each Modev event a place that is welcoming and respectful to all participants, so everyone can focus on the conference itself, the great networking and community, and rich collaborations that can happen when we get together in person. Sexual or racist comments by attendees, sponsors, or from our speakers, including verbiage or imagery in speaker or sponsor slides. Put simply, you should use good judgment. If we hear complaints and we think they are warranted, we will let you know and you may not be invited back. Stalking, offensive comments, and unwanted sexual advances toward female attendees. To borrow a line from the Flickr Community Guidelines, which use the term Creepiness: “You know the type of person that does this. Do not be that person.” If we hear that you are “that person” (regardless of your gender), we will investigate and take any action we feel is appropriate, including asking you to leave. Modev is committed to creating diverse and inclusive events and encourage people to apply to speak regardless of gender identity or expression, age (students and retired folks welcome! ), family or marital status, national origin, physical and mental ability, race, ethnicity, religion, socio-economic status, veteran status, or sexual orientation. We believe the best events are ones where all types of people feel welcome and included, and are represented in both the audience and the speakers. Please join us. Please bring any concerns or occurrences of bad or offensive behavior to the immediate attention of our event staff or email Pete Erickson (Modev Founder and CEO). We thank our attendees for their help in keeping our events welcoming, respectful, and friendly to all participants.